You spent a lot of money in your commercial roof. You depend on that roof to protect your investment, inventory, employees, and customers. Knowing what areas of your roof are most vulnerable allows you to keep a close watch for damage or wear in those areas. Intelligent Design discusses the vulnerable areas of your commercial roof. Likely, your commercial building has a flat roof. This roof is made up of layers or membranes and tar to hold those membranes together. Keeping your roof in good repair makes smart financial sense. Your roof was expensive to install, and it protects your business and the contents of your building. HVAC Units. HVAC units are large and heavy. Your commercial roof is vulnerable anywhere that has these units sitting. The corners of the unit that sit on your roof can cause tearing of the roof membrane. We call this tearing “bridging.” Look for bridging and peeling at the corners of all HVAC units on your roof. Pipes. 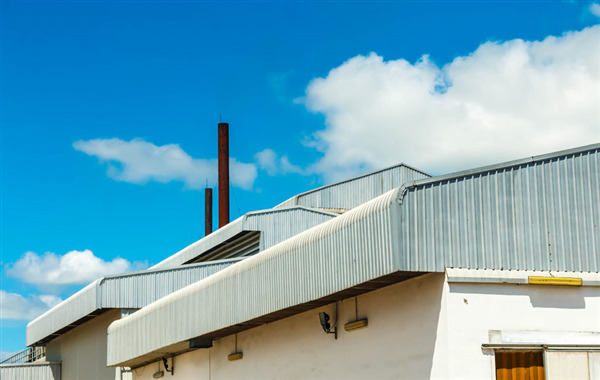 Any protrusion from your commercial roof, like a plumbing vent, is a vulnerable point. Pipes coming through your commercial roof are common leak points. Check the edges of where the pipe protrudes your roof membrane for peeling. Make sure the neck of the pipe seats well on the roof surface. You can use caulk that can handle high heat to seal the edges of boots around the pipe to extend the life of your commercial roof. Seams. Flat roof membranes come in large rolls of varying widths. Installation of membranes results in seams on your commercial roof. During installation, we seal the seams. The seams are a likely place for leaks to form as the roof ages. Keep an eye on the seams on your commercial roof. Repairs or Patches. Damage that occurs on your commercial roof will result in repairs or patches. These spots are the most vulnerable spots on your roof for leaks. Keep an eye on all patches and repairs. Make sure the edges of the patch or repair do not peel up or separate from your commercial roof. Intelligent Design is your source for expert installation and repair for your commercial roof in Minnesota. We have vast experience in troubleshooting your roof issues. Look to our professionals for your commercial roofing needs. For more information, give us a call at 763-315-0745, or you can message us on our contact page.